The Frezzi ProLight Series 5000K LEDCEX Light can be easily detached with the quick release feature. The low-profile base stays neatly wired to the camera body. The light's rugged aluminum articulating arm allows positioning at any desired height or forward location to avoid lens hood shadow. 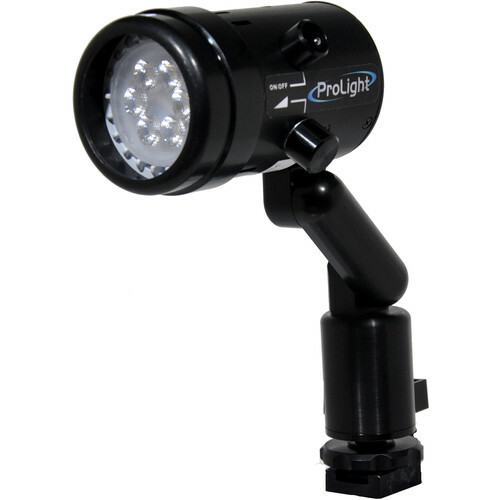 This Cool light comes with a built-in USB charging port that can charge any USB powered device from your camera battery. The pass-through PT allows connection of wireless or other broadcast devices to the same Power Tap port as the ProLight. Box Dimensions (LxWxH) 6.6 x 5.3 x 4.4"